Aug 31, 2017: As Indian Prime Minister Narendra Modi travels to China for a summit of emerging nations starting Sunday, there is a sense of quiet satisfaction in New Delhi at the resolution of their most serious border confrontation in decades in a disputed Himalayan plateau. For now it appears China has abandoned plans to build a contentious road on the high mountain junction lying between India, Bhutan and China that sparked the standoff between the two countries. Indian officials maintain that China has withdrawn its bulldozers and road construction equipment. It was in mid-June that Indian troops moved into the Doklam Plateau to obstruct China from building a road in the Himalayan junction disputed between Bhutan and Beijing. That led an infuriated China to accuse Indian troops of trespassing into territory to which it had no claim and demand their withdrawal. India in turn said the status quo should be restored. It says that has happened as soldiers from both sides have pulled back. China has announced that its troops will patrol the region, but New Delhi says that happened in the past also. Strategic experts say India scored by standing its ground for 2½ months despite the strident rhetoric from its powerful neighbor about the prospect of a full-blown conflict if Indian troops did not withdraw from Doklam. “For the first time, I think the Indian government held its nerve in a crisis. Delhi in particular is known to lose its nerve, and that has not happened,” said strategic analyst Bharat Karnad at the Center for Policy Research in New Delhi. 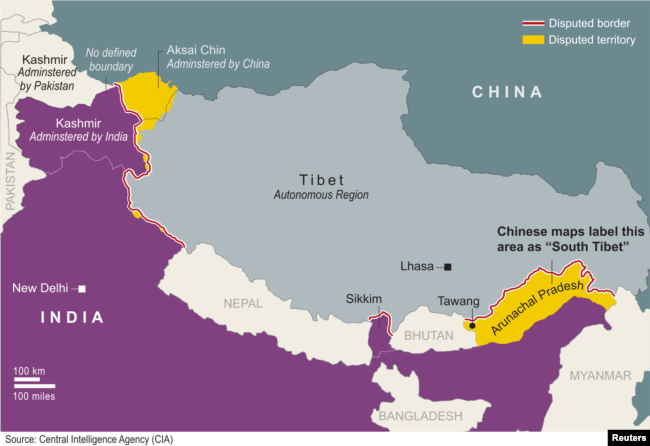 Although Doklam is disputed between Bhutan and India, Indian troops moved in swiftly to stop the construction because the area serves as a buffer that keeps China away from a strategic strip of territory that connects India to its northeast. But although the crisis has been defused, it has further frayed ties and has deepened mistrust between the Asian giants, analysts say. Chinese foreign minister Wang Yi said Wednesday that New Delhi should learn lessons from Doklam and prevent similar incidents from happening again. For India, the lesson is that even though the standoff has been resolved, future flare-ups cannot be ruled out. “The problem is essentially the aggressive stance that China has adopted on all territorial matters with all countries and here the manner in which it has tried to alter the status quo on the ground by building this road, which we have stopped,” said Jayadeva Ranade, a former China specialist at the Indian government’s National Security Advisory Board. He warned that they might repeat Doklam next year or try something else. Indeed, India will be even more vigilant in the months and years to come, not just in Doklam but in the several other sectors along their 3,500 kilometer Himalayan boundary that remains disputed despite decades-long negotiations. That was underlined by India’s army chief, Bipin Rawat, just a day before the formal announcement of the agreement. “My message to my people is that remain prepared, it can happen again, and therefore do not let your guard down,” he said. 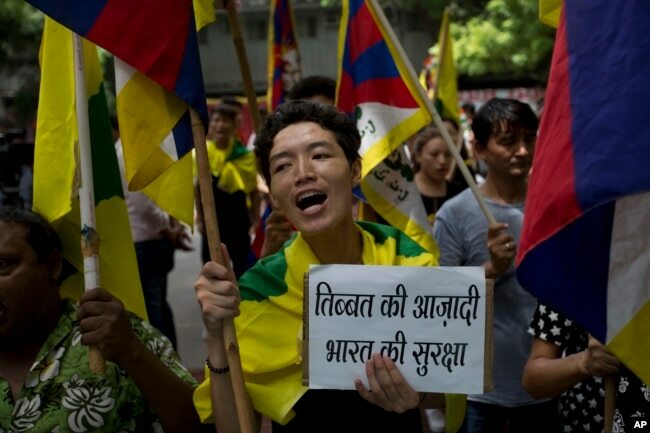 However for the time being there is a sense of relief that the crisis is over, especially because the spat had pulled in Bhutan, India’s tiny neighbor, which feared being caught in the middle of the two huge Asian countries and whose ties with India might have been jeopardized had the conflict flared. Commentators say the resolution of the dispute also sent a message to other countries that China is not unchallengeable. Countries embroiled in disputes with China in the South China Sea and elsewhere can look at this crisis as a case study on how to avoid escalation with the Asian giant while sticking to their position, according to Michael Kugelman, South Asia’s deputy director at the Wilson Center in Washington. “The fact that India stood its ground before eventually fashioning a resolution is something that many other countries will take notice of and try to learn lessons from,” he said.